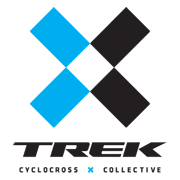 As cyclocross fever continues to spread across the U.S., Trek has announced an all-star lineup to compete domestically and abroad this fall and winter. Honey Stinger will provide nutritional support to the team’s world-class athletes, including eight-time U.S. national cyclocross champ and three-time world cyclocross championship medalist Katie Compton. “I’ve been eating Honey Stinger products for several years now. Their products have become an integral part to my training and racing programs and I’m very excited that they’re on board with the Trek Cyclocross Collective,” says Compton. The team recently made their racing debut at the USGP of Cyclocross race in Sun Prairie, Wisconsin on September 22nd, where Compton dominated both days of racing in the women’s elite field. In addition to Compton, the team features a collection of passionate men and women spanning the professional, masters and junior ranks. The roster includes: Mark Legg, Russell Finsterwald, Tim Faia, Tom Price, Ellie Noble, Jesse Rients, Sven Bauman, Matt Tillinghast, Mark Savery, Jay Thomas, Tony Viton, Shannon Skerritt, Will Black, Tamara Donnelly, Abby Strigel, Isaac Neff and Matt Shriver. This entry was posted in Company News, Hive News and tagged cyclocross, Katie Compton, Trek CXC. Bookmark the permalink.